to threats with positive alternative solutions. Midwest Sustainability is the non-profit organization formed by Incinerator-Free Lake County which was formed in 2008. We continue to help communities and grassroots groups navigate governmental and regulatory processes, train the next generation of activists and equip them to make their communities healthier and more livable. It's amazing what a committed team can do. In our first campaign, we stopped construction of an incinerator in Lake County and, instead, successfully convinced the Lake County Board to re-double waste diversion efforts. The County set a goal of 60% recycling by the year 2020 and are well on our way to achieving it. We are effective because we pair our opposition to threats with positive alternative solutions. Our forward-thinking vision now has Lake County leading the state of Illinois in recycling and waste diversion rates. When the tollway threatened to ruin our valuable and wetlands, intact open spaces and quality of life in Lake County with the stunningly unaffordable Rt. 53/120 tollway extension, we were founding members of the Livable Lake County grassroots and coalition campaign to effectively challenge it. If not stopped, it would devastate property values, create increased health hazards and significantly compromise the quality of life for the people and businesses in the corridor. We have been working diligently to stop the Rt. 53/120 tollway extension, and, alternatively, to implement the same kind of cutting-edge policies in transportation that we did with recycling. Rather than plow billions of dollars into a tollway extension that will bring even more traffic and degrade our communities, we have found many better, less expensive and quicker alternatives that fit the 21st century economy. These include strategic road improvements at choke points, incentivizing shorter commutes, harnessing ride sharing to connect to improved mass transit, and enabling carpooling, flextime and telecommuting. By establishing a forward-thinking and interconnected transportation plan for the county, we plan to stop the tollway extension and decommission the 53/120 corridor once and for all. Our vision will create a non-motorized corridor where critical environmental resources are protected, and our quality of life is enhanced. We currently have 3 campaigns in which we promote sustainable transportation policy, Zero Waste and a circular economy, address climate change from the energy demand perspective, protect open spaces and teach and empower the next generation of grassroots activists. “Go Lake County”: Current analysis shows transportation either on par with or surpassing energy production as the #1 greenhouse gas emitter. Lake County, IL has both traffic congestion and is vastly underserved by public transit. We believe that there is a unique opportunity in Lake County to modernize our transportation system and create a more sustainable plan while positioning Lake County to be competitive in a 21st century economy. Stop the wasteful and destructive Rt. 53/120 tollway extension proposal in Lake County. 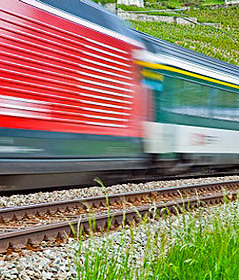 Promote a more efficient, sustainable and forward thinking transportation system in Lake County. Retire the Rt. 53/120 corridor and transform it into a non-motorized corridor with protected natural resources, an intact ecosystem and a corridor trail. Support Active Transportation Alliance in the Chicago River Trail Project. We are currently using 50% more natural resources than the earth can replenish in a year and materials consumption and management accounts for over 35% of energy consumption and GHG emissions in the US. We advocate for a circular economy that supports waste reduction, materials reuse, recycling, composting and products designed to avoid the volume and toxicity of waste and materials, conserve and recover all resources and not burn or bury them. Food waste alone has the 3rd largest GHG emissions after the emissions of the US and China. In the US we waste more than 40% of the food we purchase while the hunger rate in the US affects 1 in 6 people. We support reducing our food waste, recovering still edible food and redistributing it to feed the hungry and phasing unusable food out of landfills and into composting. Recruit businesses and institutions in Illinois, Wisconsin and the region to voluntarily pledge to reduce their food waste, assist them as needed, create and provide case studies, best practices and resources to help them succeed, monitor and track their progress and share their successes. We will recruit and coordinate individual people and organizations in Lake County to participate in World Clean Up Day 2018. 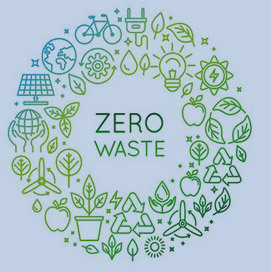 Keep Lake County, Illinois and the United States Incinerator-Free in favor of more sustainable, affordable and Zero Waste materials management solutions. Educating and Empowering the Next Grassroots Activists: Many people would like to create positive change or tackle an issue but haven’t the slightest idea where to begin. Successful Advocacy has many complicated components. Using digital means, workshops and personal appearances we teach the tools of advocacy techniques including lobbying, relationship building, strategic planning, goal setting, target development, power mapping, media relations, earned media strategy, messaging, digital advocacy, framing and organizing tactics like petitioning, phone-banking, rallies, contacting elected officials, letters to the editor and accountability. If you would like to host a workshop or training seminar or learn more, please contact Barbara: Barbara@MidwestSustainability.org or call 847-986-6900. This video highlights the environmental threat posed by food waste. A co-founding member and spokesperson for our original organization, Incinerator-Free Lake County, Barbara led the successful effort to keep incinerators out of Lake County and increase Lake County waste diversion rates (Lake County now leads the State of Illinois in waste diversion rates). Barbara is a leading Zero Waste (Sustainable Materials Management) expert and environmental advocate with a successful track record of bringing key people together to create positive change while pairing opposition to threats with positive alternative solutions. 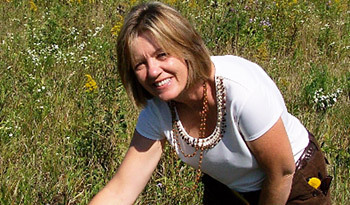 She served as Co-Chair of Livable Lake County, a coalition organization formed to advocate for sustainable living in Lake County, from 2015 – 2017. In addition to her work leading Midwest Sustainability Group, Barbara chairs the Sierra Club National Zero Waste Community Responsibility Team and serves on the Sierra Club National Conservation PolicyCommittee. Barbara is an experienced lobbyist who has advocated for sustainable materials management, transportation, clean air, clean energy and wilderness policies at the federal, state and local levels. She is also the piccoloist in the Elmhurst Symphony Orchestra, an adjunct faculty member at the College of Lake County and the mother of an amazing14 year old daughter. 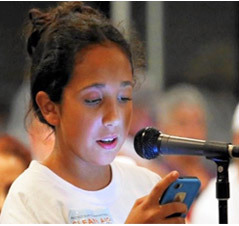 D.C. several times to lobby Congress for Arctic Wilderness protection and, at age 12, had an essay published in the book, We Are The Arctic, along with her friend and Gwich’in leader, Lorraine Netro, from Old Crow, Yukon and other notables like President Jimmy Carter and former Senate Majority Leader, Harry Reid. https://www.braidedriver.org/wata. 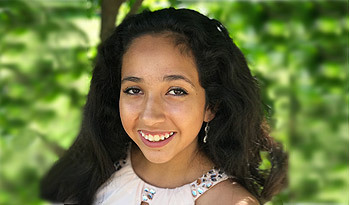 Isabella was Junior Miss Grayslake 2015 and Junior Miss Lake County 2016 where her platform issues were: wilderness and wildlife protection, helping military veterans and special needs kids. A former Lake County Board Member and Forest Preserve Commissioner, Melinda ran for and was elected to the Illinois State Senate in 2012. Senator Bush is currently the Vice Chair of the Environmental Committee. She has been a champion for the environment passing numerous pieces of legislation. In 2017 she has once again received a 100% rating from the Illinois Environmental Council. 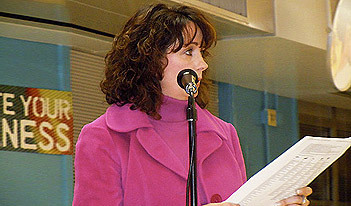 Melinda ran for local office in the late 1980’s after successfully organizing her community against massive over-development. Concerned about the preservation of open space, she lead the fight to stop the ill-advised development of an environmentally sensitive 1000 acre site. She worked with the Forest Preserve District, convincing them to purchase the site for preservation. That land is now the Rollins Savanna – the second largest forest preserve in Lake County and a top birding site in the state of Illinois. Senator Melinda Bush is committed to doing everything she can to protect our planet. She is a lifelong resident of Lake Countyand currently resides in Grayslake with her husband, Andy Bush.